PECO crews began their trip to Puerto Rico Saturday morning to help restore power to the island. PHILADELPHIA (WPVI) -- PECO crews began their trip to Puerto Rico Saturday morning to help restore power to the island. Crews boarded a bus to Delaware, where they will meet up with other Exelon utility crews before flying down to Puerto Rico together. 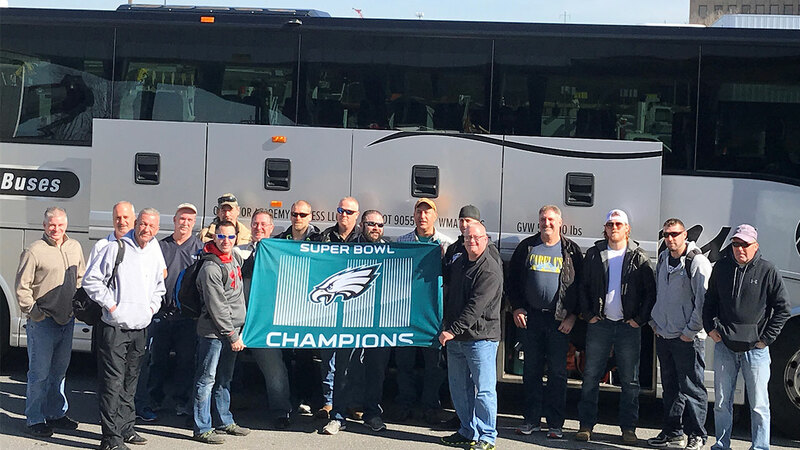 Before boarding the bus, crews posed as a group with an Eagles Super Bowl Champions flag.